Enterprise Resource Planning (ERP) software is an integrated solution that manages a company’s financials, supply chain, operation and reporting, manufacturing and human resource activities. Logicom Solutions has the in-depth product knowledge, skills, methods and experience needed to successfully implement Microsoft ERP solutions including Microsoft Dynamics 365 Business Central (formerly Dynamics NAV). Microsoft Dynamics 365 Business Central is a comprehensive and modern ERP solution that brings organisational processes together – including finance, operations, sales and marketing. It easily integrates to applications, allowing customisation to fit and support organisations’ unique business needs with seamless scalability. 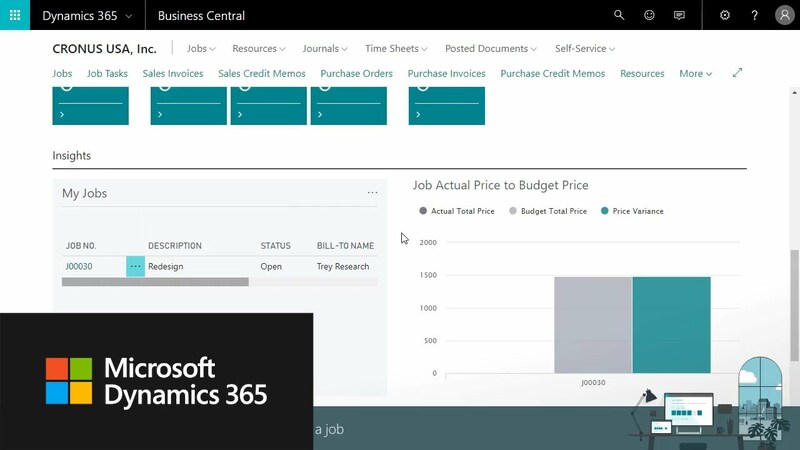 With Dynamics 365 Business Central, organisations can now get a complete picture of their business and make smarter decisions to deliver great customer experiences. LS Nav is the most popular Dynamics-based solution that addresses stores operations, from point of sale (POS) to warehousing and merchandising. The retail solution ensures data flows quickly and accurately from one business unit to another, providing both store employees and head office decision makers with the information and tools they need to perform their jobs in the most productive and efficient way. Logicom Solutions has extensive experience in the delivery of LS Retail solutions, integrated with Dynamics. Financial leasing is an ERP system tailored to automotive, equipment, real estate and other kinds of asset finance companies – including leasing and fleet management. The Soft4Leasing solution brings together our experience, adding value to financial institutions such as leasing companies, credit unions and banks. With Soft4Leasing, organisations can easily manage the entire leasing process, including lease applications, managing leased assets, credit scoring, credit decision management, dealer and broker portals and fleet management. Having delivered numerous successful projects for financial and banking institutions, Logicom Solutions can help financial organisations transform and improve their operations. Soft4RealEstate is a property management ERP solution enabling property management organisations to automate processes and increase productivity. The solution caters for the management of property lease sales, tenants, contracts, common areas maintenance, work orders, billing, invoicing and much more. Having successfully delivered projects for institutions managing large properties, such as universities, Logicom Solutions can help organisations transform and improve their property management operations. The Logicom Solutions Human Resources Management System (HRMS) extends the human resource functionality of Microsoft Dynamics and integrates with several payroll systems. It is a comprehensive system with very rich functionality that can meet the needs of virtually every organisation. The system is fully parameterised and configurable, enabling compliance with the complex needs of large corporations, government organisations, and financial institutions.